Sesame cleaning machine includs screening machine unit, stoning machine, magnetic separator, winnowing machine and so on. All these machines' function are to finish the process of raw materials feeding, screening, stone removing, magnetic separation, and the complete process of cleaning dust, air generated from this section. The oil materials cleaned by this section could reduce damage to the subsequent machines. This section is composed of fuel transport system, hot blast air stoves(oil furnace, coal stove), seeds frying machine, smoking system, hot blast air network, temperature detection system. The total seven machines fry the raw materials uniformly to ensure the protein denaturation and harden completely and separate the raw materials from the air and waste gas. This pressing section contains warming conveyor, customized sesame oil press machine, smoking installation, cake conveyor and so on. 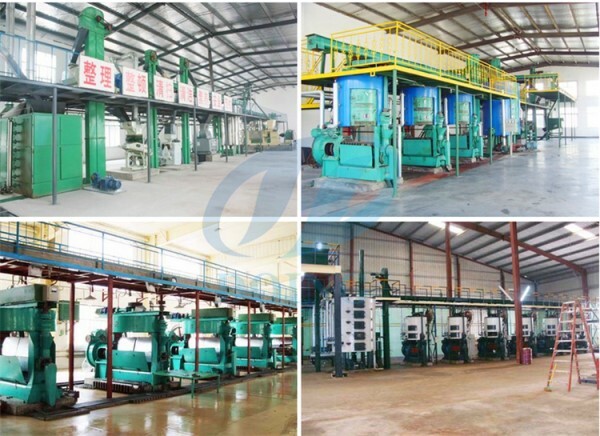 All these machines achieve the whole process including sesame oil extraction, cake transportation, and smoke removal. This is the whole process of sesame oil extraction plant. We can manucture different kinds of sesame oil press machine. (Read more: Hydraulic sesame oil press machine) We offer turnkey service of sesame oil extraction plant including design, installation, workers training, tech consulting and after-sale service. Please feel free to contact us to know more. 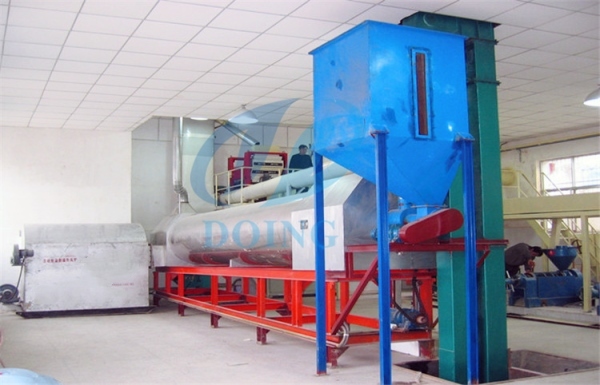 If you wanna to get more details about Sesame oil extraction plant you can send E-mail to market@doinggroup.com. You can consult our professional engineer and specialized sales team with leave a message in below form.We will contact with you ASAP.You also can visit our factory in Henan,China.Get Detailed address.